Courtesy of LGI Homes (MLS Only). Designed with your busy lifestyle in mind, this gorgeous floor plan features stunning interior details throughout. Step into the kitchen, which highlights stainless appliances, spacious granite countertops, a large kitchen island, a dining area and a walk-in pantry that leads to the 2-car garage. Off the kitchen is a great room with coffered ceilings, an entertainment center niche and twelve-foot sliding glass doors allowing you to soak in the mountain views. Unwind at the end of the day in the master retreat, which features a master bath with a drop tub, a separate walk-in shower, and a walk-in closet, that has direct access to the utility room. Additionally, you will find three extra bedrooms, a separate flex space, a covered front porch and an expansive covered patio. Directions: Exit Estrella Pkwy (exit #126) off of I-10.Head south on Estrella Pkwy.Continue on Estrella Pkwy through round about.Turn right ON Calistoga Dr. Turn left on 182nd Dr. Turn right on Tecoma Drive. Approximate size: 12199.00 sq. ft. Please, send me more information on this property: MLS# 5852088 – $356,900 – 15208 S 182nd Lane, Goodyear, AZ 85338. 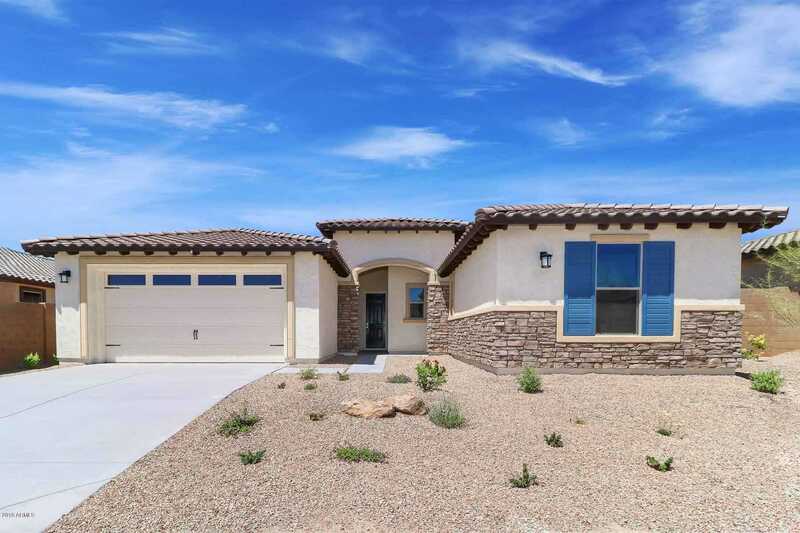 I would like to schedule a showing appointment for this property: MLS# 5852088 – $356,900 – 15208 S 182nd Lane, Goodyear, AZ 85338.